Complete a Master’s degree online in the hottest area of the new millennium! Learn about new statistical and computational methods that are transforming business and society from the Illinois faculty who are pioneering them. Illinois Computer Science offers a specialized track of courses that satisfy the MCS degree requirements, but with coursework that focuses on data science — the art of extracting new knowledge and finding meaningful information in a massive sea of data. Apply by May 30 for Fall 2019 admission! The Master of Computer Science in Data Science (MCS-DS) track is a non-thesis (coursework-only) program of study that leads to the MCS degree using courses that focus on data science. The MCS-DS track requires 32 credit hours of graduate coursework, completed through eight graduate-level courses each at the four credit hour level. The MCS-DS includes required coursework in machine learning, data mining, data visualization and cloud computing. Students receive lectures through Coursera's massive open online course (MOOC) platform, but are advised and assessed by Illinois faculty and teaching assistants on the more rigorous set of assignments, projects, and exams required for university degree credit. Students who would like to take a more general set of courses should consider the University of Illinois Online MCS. Who may apply? Applicants should hold a bachelor's degree in computer science, or if not, must have coursework (or commensurate experience) in object-oriented programming, data structures, algorithms, linear algebra and probability/statistics. The recommended undergraduate GPA for applicants applying to the Professional Master's program is a 3.2/4.0 or higher. The Department of Computer Science does not require GRE scores for any of its graduate programs. Applications for the MCS do not require letters of recommendation, but will be considered if included, especially if used to justify experience in lieu of required coursework, or other irregularities. Note: Each MCS-DS course is four credit hours. Must complete one course each (with a grade of B- or higher) from the four different areas of machine learning, data mining, data visualization and cloud computing. Must complete three courses (12 credit hours). Not required, but available to use toward the eight courses required for the degree. All coursework must be taken through the Coursera MOOC platform. Breadth coursework must have a letter grade of B- or higher. Any other course taken for letter grade must have a grade of C or higher. Tuition: $600 per credit hour, for a total of $19,200 for the complete 32 credit hour degree. Coursera fees: $79 per each Coursera MOOC course that is applied toward the Online MCS. 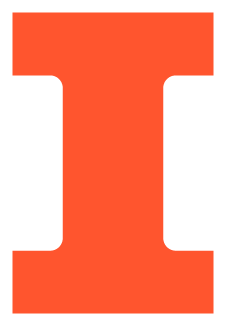 (Each credit-bearing course of enrollment at the University of Illinois has two associated MOOC courses.) Note: If a required Coursera course has been completed for a certificate before the official Online MCS course started, students do not need to re-pay. More information on Coursera payments and Coursera financial aid can be found here. ProctorU fees: Most Online MCS courses require one or more exams. Exams are proctored online through the ProctorU service, which will be billed directly to the student when an exam is scheduled, at $8.75 (30-min. exam), $14.75 (1-hr. exam), $21.50 (90-min. and 2-hour exam), or $30.25 (3-hour exam). The Department of Computer Science does not offer research or teaching assistantships to students enrolled in our online programs, including the Online MCS. The Online MCS program is accredited by the Higher Learning Commission and enrolled students are eligible for financial assistance. See the Office of Student Financial Aid for further information. If you are interested in receiving updates about the Online MCS, please complete Coursera's Interest Form.